HARRISBURG, Pa. — Pennsylvania Farm Bureau (PFB) commended the Pennsylvania Milk Marketing Board (PMMB) for its decision to maintain the current $2.15 over-order premium for Class I milk paid to Pennsylvania dairy farmers. The decision covers a six-month period beginning July 1. 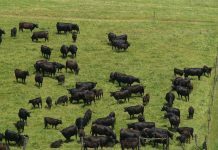 “We believe the board recognized the negative impact that historically high production costs have on the ability of dairy farmers to make a profit. 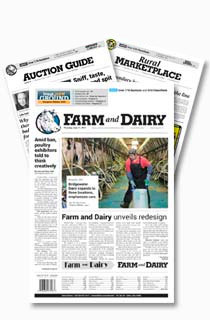 Improved milk prices in 2011 are bringing some relief to dairy farmers, who are using any net profits they are earning to pay down debt accumulated during 2009, a devastating year for most milk producers,” said PFB President Carl T. Shaffer. 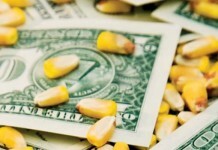 During testimony before the PMMB earlier this month, PFB cited the volatility of milk prices over the past three years combined with consistently higher fuel, seed, fertilizer and animal feed costs as key reasons to continue the premium at its current level. “All of these added costs put additional pressure on already tight profit margins. For example, high fuel costs have prompted my milk hauler to increase the fee I pay to have my milk transported to the processor. This extra cost cuts directly into my profits,” said PFB Vice President Richard Ebert, who is also chairman of PFB’s State Dairy Committee. 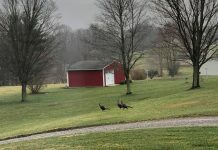 The Westmoreland County dairy farmer also expressed his concern about adverse weather conditions this spring, which could bring further problems for dairy farmers, who grown corn, soybeans and hay to feed their own animals. 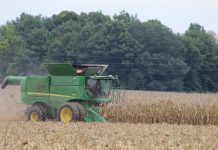 “If yields are down at harvest time due to the effects of wet weather conditions, dairy farmers may be forced to purchase additional feed from other sources, further escalating economic challenges on the farm,” concluded Ebert. Farm Bureau also recognized the PMMB for keeping in place its current premium price add-on for fuel costs. Dairy farmers whose milk is produced, processed and sold in Pennsylvania for Class I use (fluid milk) receive the over-order premium and a premium add-on based on the cost of fuel.